It’s fair to say that no one loves shopping quite as much as we do, but why is it that buying clothes out of sheer necessity takes all the fun out of retail therapy? 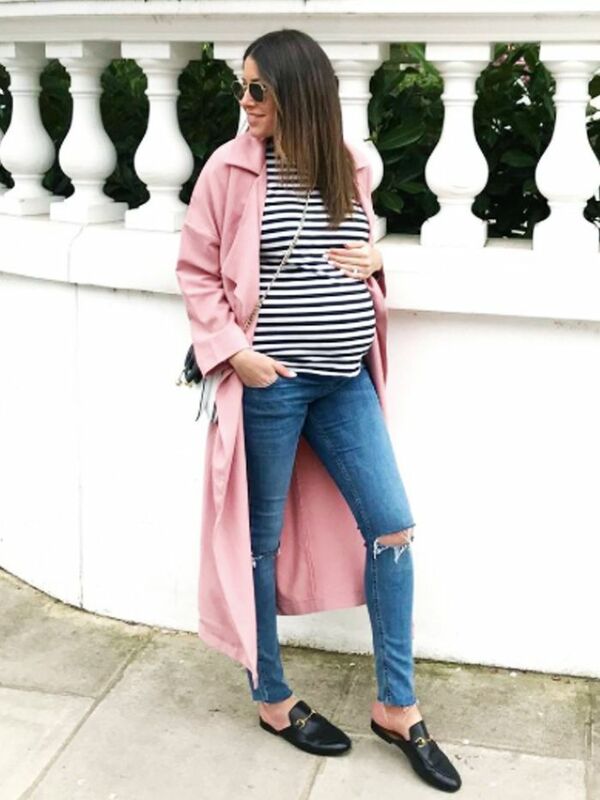 Case in point being maternity wear: There comes a stage in pregnancy where your normal clothes just won’t cut it anymore (tying the button of your jeans with a hairband is clever but not a permanent measure) and new essentials become non-negotiable. Of course, the last thing you want to do is spend a fortune on what is essentially the most short-lived items you’ll ever need. So here’s our advice: Keep an open mind, and be prepared to shop from retailers you wouldn’t normally consider, and be warned that some of your favourite brands will let you down. It’s also almost always better to shop online for access to a much more generous selection. Some of our favourites? High-street hero Next is brilliant for trend-led jeans around the £30 mark. Can’t decide between the flared, raw-edge crop or the mid-wash patch style? At that price, you can consider treating yourself to both. New Look has some great bulk-buy offers on simple tops to accommodate your growing bump, but don’t expect to be greeted with much choice in stores (even flagships). So start filling that virtual basket, and try on at home. Meanwhile, French catalogue brand La Redoute has a small but perfectly formed selection of versatile basics with a twist that you won’t see you inadvertently twinning with the rest of your antenatal class. And if you still want your bump to nod to the hottest trends of the season, fill your boots at ASOS, whose maternity selection continues to blossom. Oh, and remember to just stick to your normal pre-pregnancy size. Expecting? Shop our edit of the most affordable maternity pieces in the gallery below. Nod to the latest trends without spending a fortune. These brilliantly come in two leg-length options. A little dress that's perfect for summer. A versatile piece that easily lends itself to being dressed up or down. An off-duty staple you'll live in at weekends. Need to dress up? Look no further than H&M. This luxe shirt is worth splashing out on, especially as it will come in handy when nursing. Perfect when you're not in the mood for jeans. An easy, flattering piece for summer. So covetable you'll want to keep wearing this post-pregnancy.